Chance The Rapper will star alongside the Backstreet Boys in a 2019 Super Bowl commercial for Doritos’ newest flavor, Flamin’ Hot Nacho. In the teaser released Thursday (Jan. 17) via Ad Age, Chance appears alongside the famous boyband in an airplane hanger similar to the one in the music video for the group’s 1999 hit single “I Want It That Way,” while the song starts up in the background. The full spot will air during the Super Bowl on Sun., Feb. 3. Aside from the commercials for the Super Bowl, fellow artists Travis Scott and Big Boi have been receiving backlash for their decision to perform during the Super Bowl halftime show alongside Maroon 5. Despite Travis’ team releasing a statement stating that he and Colin Kaepernick spoke prior to accepting the gig and came to a mutual understanding over his decision to perform, people close to Kaepernick have denied the reports. It remains to be seen whether Chance’s decision to star in a Super Bowl commercial will welcome the same controversy. Serena Williams will also be starring in an ad for dating app, Bumble. 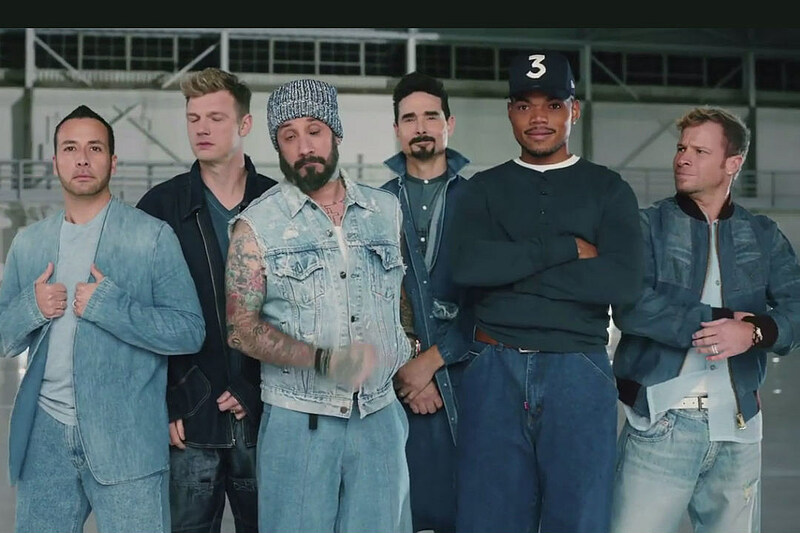 Watch the teaser of Chance The Rapper’s Doritos commercial with the Backstreet Boys below.